So here’s what Michele was packin’ (OMG this is pairing prowess): Brioche bread + caramelized onions + roasted garlic +roasted red pepper + Willamette Valley Cheese Co. Smoked Fontina + Washington Treveri Cellars Sparkling Rosé = YUM! Juli C stepped up with: Obelisco Chardonnay with Cougar Gold cheese, bacon, granny smith apples and fig jam on a delicious, hearty, Macrina bread! My mouth is watering thinking about it Love that fatty, sweet, savory combo with such a crisp, delightfully clean Chard (the best Chard in the state in my opinion)! And Jim Schaffer: Sparkling White would be my go-to with but, since we’re talking Washington state, let’s go with Chateau St. Michelle! My sandwich would be a thick cut Brioche with smoked salmon and a trio of gruyere, Irish cheddar and cooper sharp. Major congrats to our winners and I will take care of Dan, too because I learned so much about the Gap’s Crown vineyard that’s got wine pros all agog. In truth I learned a ton from all of you and need a trip to the Pacific NW asap to taste all these wines, breads and cheeses you have recommended. Wow. Heartfelt thanks to Laura Werlin for her cheese coaching, and judging. If you ever get a chance to attend one of her amazing cheese events do not pass it up! 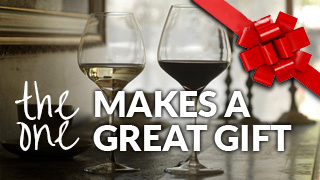 Winners, if you are not a registered user of andreawine.com please send an email through the contact link so we can get your shipping address and send your super bowls (The ONE) and other pairing gear. Cheers! Here is my address …. I must respectfully disagree as the slight sweetness of the jam highlights the flavors in the wine impeccably (it isn’t a typical Chardonnay) and balances out the tart apple. 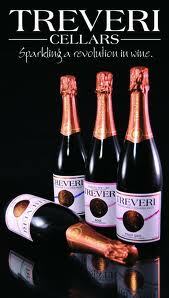 The smoked and roasted/charred flavors would undoubtedly muck up your palate with a crisp bubbly like Treveri. But thank you for a fun contest! Go Hawks! Cheers!